Hello and Welcome to Lorenzo Puzzle! 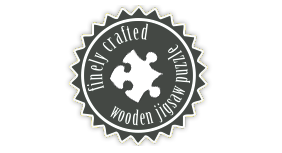 Our handcrafted wooden jigsaw puzzle span generations and our personalisation options gives them a modern twist! We have the jigsaw for every occassion young and old alike. 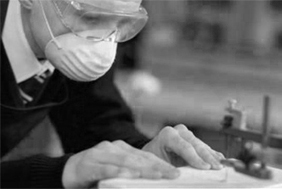 Our beliefs in traditional hand craftsmanship means every detail counts and every puzzle is hand cut with love. Lorenzo Puzzles are an artform and are often admired for their craftsmanship and attention to detail. 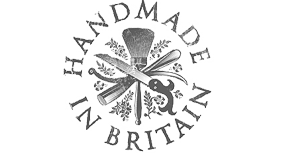 They are enjoyed by all generations and when cared for properly they will be enjoyed by many many more future generations. Puzzle guest books are unusual and eye catching. 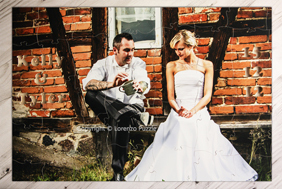 These personalized jigsaw puzzles are hand cut and made bespoke for each wedding. Each puzzle is hand cut on a quarter inch birch wood. Add something unique to your day and make it fun! 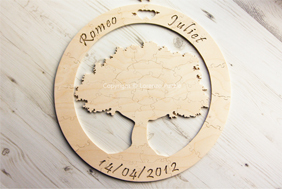 Guests sign the pieces with their names or a message and the newly weds have something special to treasure always. 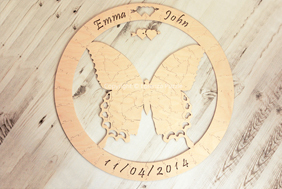 Guestbook in shape of the Butterfly. 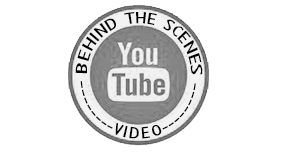 In the western world, the symbol of the butterfly stands for freedom, fun and joyous times. It is also symbolises a state of naturalness and purity. 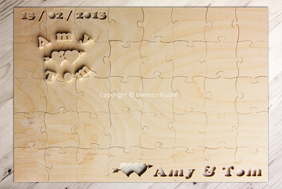 Guests can write their messages on a puzzle piece, leaving the bride and groom with a stunning momento of their day. 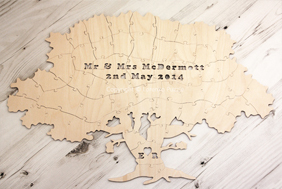 Look out for our NEW Guestbook Puzzle AVAILABLE NOW. Instead of a guest book, make a puzzle out of a photo of the couple and have the guests sign the back of each puzzle piece. All of them are fully personalised. 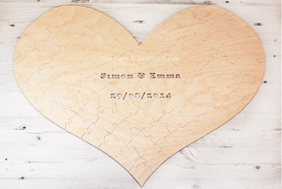 Our Guestbook Puzzle are also perfect for baby showers, christening, anniversaries, birthdays, corporate favours… They are uniquely personal. Something to cherish forever. What an amazing reminder it will be of the wedding celebration in the years to come! We have always loved 1000 piece jigsaw puzzles, solving them on the kitchen table together over a weeks time, so this puzzle guestbook will be extra special to our daughter!